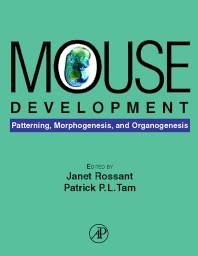 This book represents a classic compilation of current knowledge about mouse development and its correlates to research in cell biology, molecular biology, genetics, and neuroscience. Emphasis is placed on the research strategy, experimental design, and critical analysis of the data, disguishing this from other books that only focus on protocols for mouse developmental research. Selected chapters are indexed to electronic databases such as GeneBank, GenBank, Electronic Mouse Atlas, and Transgenic/Knockout, further increasing the utility of this book as a reference. Developmental biologists, cell biologists, and molecular biologists.